Space is really tight at my school this year. Several classrooms are out of commission due to maintenance issues and the building itself is so old that it was legally segregated when it opened. We have been told that if we try to hook one more temporary classroom up to the power grid, we risk regular blackouts. Therefore, it was declared at the beginning of the year that all teachers will be sharing classrooms. In fact, I just got my third roommate. I don't mind sharing a room. I have a reduced course load and it would be downright impractical to leave a room empty the majority of the day. I am not especially territorial over space as I have enough sense to realize that my classroom isn't really mine as it belongs to the district. The administration has the right to ask me move classrooms at any time and this is actually my third one in five years. In reality, the only thing about sharing a room that gives me pause is the fact that I now have other individuals in my room while I teach. I know that this shouldn't be a big deal. After all, when colleagues and administrators ask if they can make last-minute visits to my classroom, my standard response is "Absolutely. Quality instruction occurs in my classroom everyday and today is no exception." However, those requests occur on a limited basis. 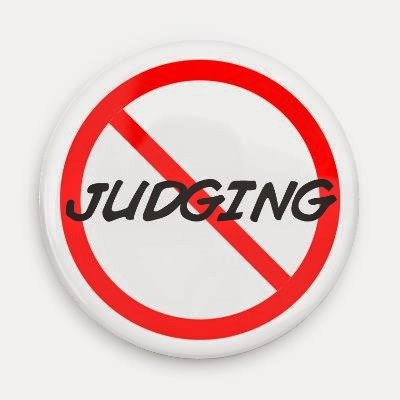 One can't help but be a tad paranoid about entering the judgment zone on a daily basis. My class is considered large for an ESOL class (I have 30 students) and we have built a unique culture over the past two years. My students often poke fun at my accent (it never gets old), but dare not laugh at a classmate's accent or mispronunciation of a word. Students are allowed and encouraged to seek help from classmates, even if it means that they speak a language that isn't English while doing so. They take turns making the classroom run smoothly by distributing and collecting materials as well as doing little things like answering the phone if I am on the opposite side of the room, even if I don't give them direct permission to do so. I have recently noticed that the majority of my students have dropped the title from my name and address me simply as Ninja. On the flip side, the terms "please" and "thank you" can be heard in my classroom on a daily basis. While this way of running a classroom may not work for every teacher or even me with every set of students, it works this year. Yes, my classroom may be a bit loud at times, but based on what I have observed over the past thirteen years, a quiet classroom does not always mean that students are learning. As far as what my roommates really think of fifth period, only time will tell. In the meantime, I will get used to my corner of the room and vow not to judge my roommates' classroom cultures just as I don't want them to judge mine.